Our office offers our patients the option of Intravenous Sedation or Dental Intravenous Anesthesia or to some it is referred to as “Twilight Sedation” for their dental treatment. Intravenous Sedation or “twilight sleep” helps you to be comfortable and calm when undergoing dental procedures. Your treatment can be completed under intravenous sedation. 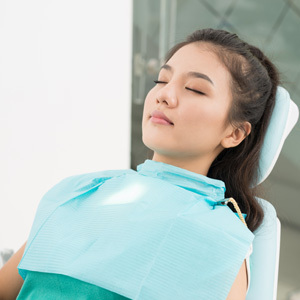 Intravenous sedation or ““IV sedation” (twilight sedation) is designed to better enable you to undergo your dental procedures while you are very relaxed; it will enable you to tolerate as well as not remember those procedures that may be very uncomfortable for you. IV sedation will essentially help alleviate the anxiety associated with your treatment. You may not always be asleep but you will be comfortable, calm and relaxed, drifting in and out of sleep – a “twilight sleep”. For more information about Anesthesia Options or to schedule a consultation — call our office in Arlington, VA at ☎ Arlington Dental Implant & Oral Surgery Center Phone Number 703-566-1908, or our Waterfront office in DC at ☎ Waterfront Dental Implant & Oral Surgery Center Phone Number 202-733-1856 or Request an Appointment online.